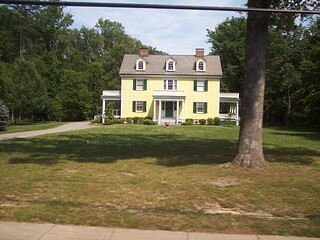 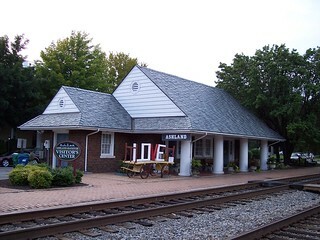 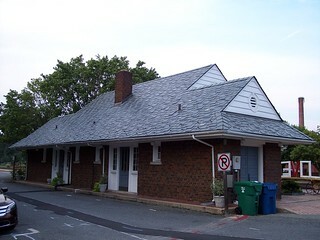 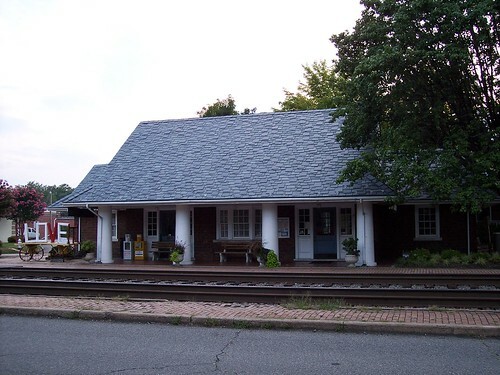 The old Ashland station building is no longer used by the railroad, but is still used as a visitor's center. 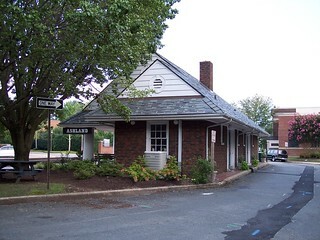 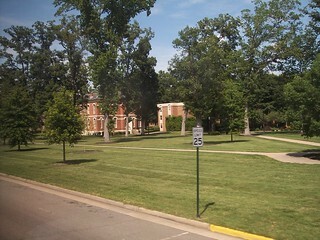 The street side of the station. 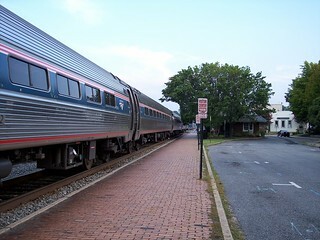 The Northeast Regional ready to depart the station. 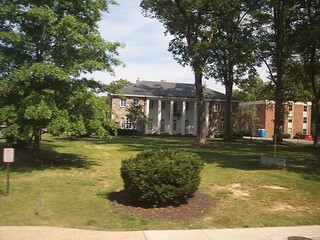 Views of Ashland as we ride through the middle of town.